Master of Science, Nursing – Public Health, University of Missouri, Columbia, Mo. 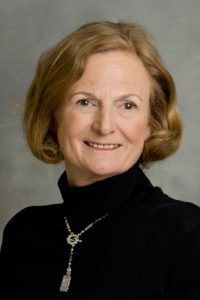 Mary Fete has practiced as a registered nurse for more than 35 years in a variety of specialities and practice areas. She has managed inpatient and outpatient care in urban and rural areas, served as a patient advocate, taught and conducted research. Fete also has mentored new nurses, developed education programs and curriculum for nurses and provided education for professionals, patients and families. Fete views nursing as a both a science and an art dedicated to the health of clients and communities. Maxim, R.A., Zinner, S.H., Matsuo, H., Prosser, T.M., Fete, M., Leet, T.L., & Fete, T.J. (2012). Psychoeducational characteristics of children with hypohidrotic ectodermal dysplasia. Scientific World Journal, Epub: 2012:532371. Salinas, C., Jorgenson, R., Wright, J., DiGiovanna, J., & Fete, M. (2009). 2008 International Conference on Ectodermal Dysplasias Classification: Conference Report. Am J Med Genet A. 149A(9):1922-25. Fete, M., Siegfried, E., & Bree, A.. (2009). Conference Report: International Research Symposium on Ankylobelpharon-Ectodermal Defect-left Lip and/or Palate. American Journal of Medical Genetics A.149(9):1885-1993. Stanford, C., Guckes, A., Fete, M., Srun, S., & Richter, M. (2008). Satisfaction of dental implant treatment in patients with ectodermal dysplasia syndromes. JADA. 21(3):195-200. Siegfried, E., Bree, A., Fete, M., & Sybert, V.(2005). Conference Report: Skin Erosion and Wound Healing in Ankyloblepharon-Ectodermal Defect-Cleft Lip and/or Palate (AEC). Arch Dermatol,141:1591-1594. Fete, M. (2002, Feb.). God in control: Women’s perspective on managing HIV infection. (Commentary manuscript). Clinical Nursing Research.